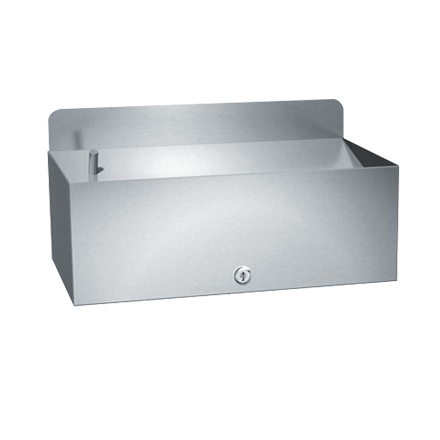 Theft resistant flip tray and bezel fabricated of satin finish type 304 stainless steel. Spring pivoted to return to original position. Removable stainless steel ash receptacle behind locked door.